Last year, Pacsafe asked me to write their brand story. It was the perfect time to interview the founders Rob Schlipper and Magnus McGlashan after 20 years in business. We dug into their archives of photos and stories. The wealth of material took me by surprise. There were tales of misadventure on the high seas, where Rob and Magnus bonded over a secret cache of beer found in a bilge hold; tales of miscommunication, where at one stage everything was filed under ‘t’ for ‘the’ in their bottom-heavy filing cabinet; and tales of ingenuity, where Rob taught himself patent law, because they couldn’t afford a solicitor, yet needed to protect their designs. 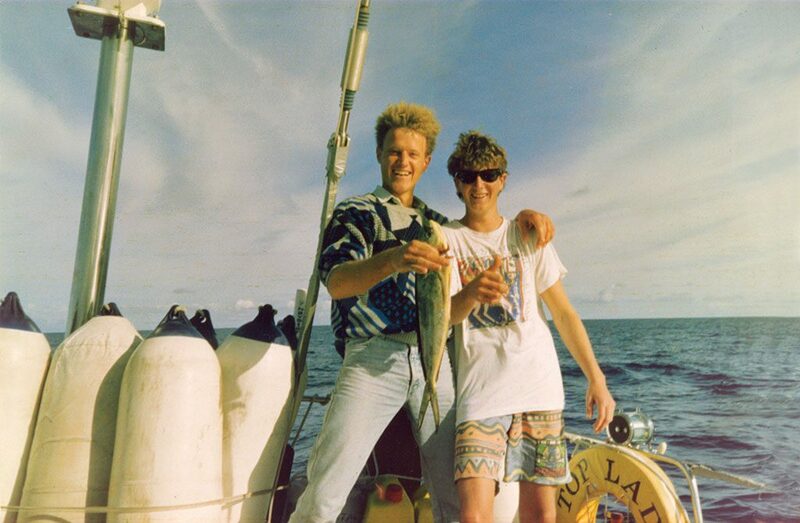 Rob and Magnus on an early seafaring adventure. The problem I had was distilling all of this great stuff into barely a page of words. It was impossible. So, I asked if I could write a series of posts uncovering some of my favorite stories from the interviews. This is the first of those ‘Tales from the Safe’. It is a look into the unlikely launch of their first ever product – a backpack protector that is still in the range today. 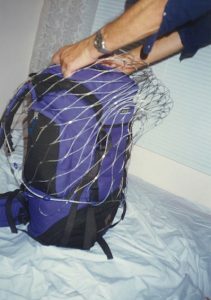 The idea for the lockable, wire net was first seeded in Rob’s mind on a nighttime train ride through Morocco. He spent an uncomfortable night trying to sleep on top of his bag to protect his things from would-be thieves. He knew there had to be a better way. When Rob later settled in Hong Kong, he put his engineering skills to work and had some samples built. He then invited his old travel buddy Magnus to stop through Hong Kong to see what he had come up with. Magnus soon agreed to go into business with Rob after realizing the potential of the invention. They spent the next few months furiously perfecting the design, writing instructions on how to use it and getting their marketing materials together. Testing and instruction-writing phase of the backpack protector. The product was launched at the USA’s biggest travel tradeshow – Outdoor Retailer. Getting there required both a spirit of innovation and a stubbornness to never take no for an answer. A stroke of luck hit the night before the show when another company pulled out last minute. They left one of the best locations in the whole place free. Beth Gordan knew exactly who could take it at such short notice – those two crazy Australians. 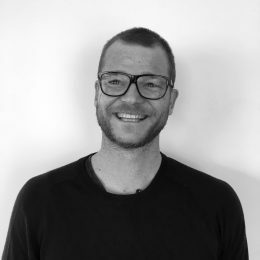 The prime location, and the fact that their business cards showed phone numbers for the USA, Hong Kong, Germany and Australia (all routed to their two-man office through some early internet trickery), meant people viewed Pacsafe as an established and credible brand. Rob and Magnus knew they were in business when they picked up orders from one of America’s biggest adventure retailers: REI. Magnus showing off an early tradeshow set up for Pacsafe. Pacsafe was then invited to a big tradeshow in Europe, based on the success of outdoor retailer. The snowball was building momentum. 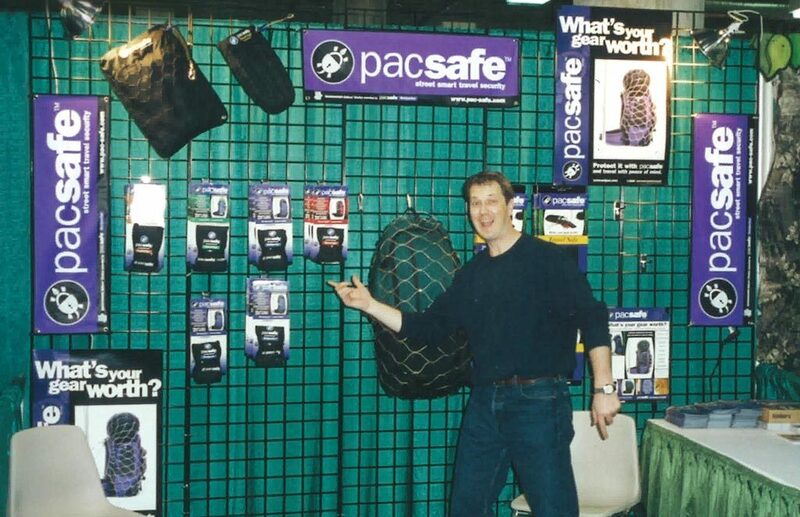 Production began and the first ever Pacsafe item was delivered to shelves in late 1998. It then won Backpacker Magazine’s ‘Editor’s Choice’ award for best product in 1999. The rest, as they say, is history. The net design started off a wave of further innovations – puncture proof zips, Roobar lockdown points, interlocking zip pullers and more. They established Pacsafe as the pioneer of anti-theft carry solutions worldwide. Magnus and Rob worked relentlessly to make sure they helped travelers all around the world enjoy their adventures knowing their gear was safe. So, in a nutshell, that’s how Pacsafe got its start. There are 20 years worth of other stories lurking in the safe like this one. I’ll be pulling out my favorites and sharing them with you over the course of 2018. Until then, stay tuned and Safe Travels.